I tend to worry that this blog gets a little too much heavy on the facts and not enough on the opinion- by that I don’t mean ill-informed ramblings (although I’m sure there are plenty of those) but just lots of ‘info dumping’ about Hydragas and the aesthetical ethos of the Citroën Ami. If you want that then there’s always Wikipedia. So I’m going to let analysis, structure and facts go to hang every now and then and do raw personal opinion with an occasional list of cars that, for whatever reason, I fancy owning at some point. There’s no logic to this list- just whatever I pull off the top of my head at any given time. 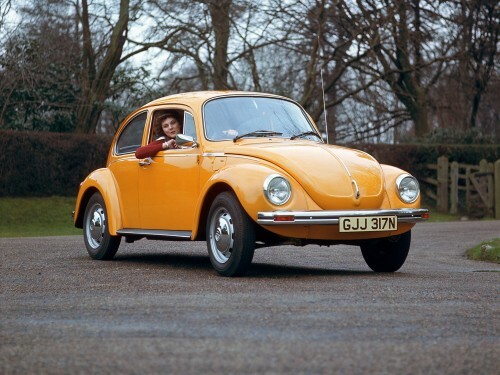 Volkswagen gets a lot of flak from me on these virtual pages and as a 2CV owner I shouldn’t be contemplating Beetle ownership at all. None the less I have a strange sense that I’d get on quite well with Ferdinand Porsche’s little rear-engined fire hazard. Having never driven (or even been in) one I can only guess that, while they may be slow and tediously reliable, they must have at least some of the elemental charm that comes from cars that are both basic and the product of one man’s particular ideas (by that I mean Dr. Porsche, not Adolf Hitler). Plus I feel I should probably experience what is, after all, the most successful car ever made for long enough to find out what all the fuss is about. They can’t just be underpowered, tail-happy hippy-wagons with a tendency to suffocate their drivers…can they? 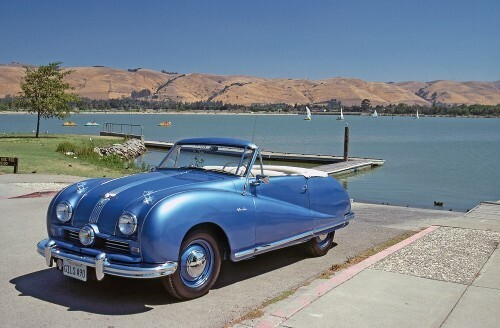 “Austin Atlantic- If You’re Going To Fail, Fail Spectacularly” That might as well have been the slogan, because Austin’s big hope for breaking into the American market in the ‘Fifties proved to be very badly misjudged. But look at it! I’ve always liked the cars from Austin’s ‘County’ phase from a styling point of view, what with their chrome grilles and swooping creases. The A90 is the basic design language cranked up to 11. Why make do with one Flying-A badge when you can have two? Why have two headlamps when you can three? Blank bit of bodywork? Add even more chrome! The result is a wonderfully awful caricature of a ‘Forties Studebaker based around the mechanical parts of an Austin van. What’s not to like? I keep meaning to do a big article about why exactly I like hydropneumatic Citroëns so much, but that’s for another time. It goes without saying that I want to own some sort of ‘proper’ Citroën at some point but which one to go for? The whole classic Citroën ownership experience is based around the fact that they offer a uniquely sublime combination of handling and ride comfort when they work but at any moment they can slump to their knees in a puddle of green oil. Given that, why not go for the most technically ambitious one that, when it works, can corner like a Lotus and ride like a Rolls-Royce? Plus it’s wedge shaped and has a strange steering wheel. 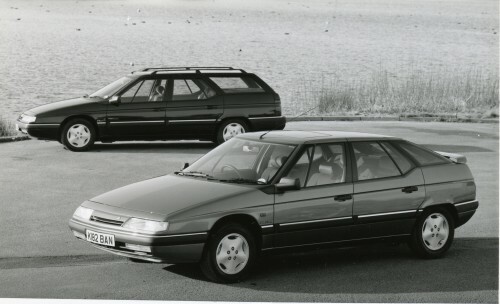 The only real question is whether to go for the vast estate version (the only thing better than a hydropneumatic Citroën is a hydropneumatic Citroën estate) or the saloon/hatchback which has two rear windows, one inside the other. I can’t work out why, but I need to find out. For all my crippling like of gutless, softly-sprung cars I can actually enjoy a good thrash in a properly engaging convertible. Now it’s the summer I’m starting to have dangerous thoughts about owning a proper convertible with proper handling, not a Citroën 2CV. 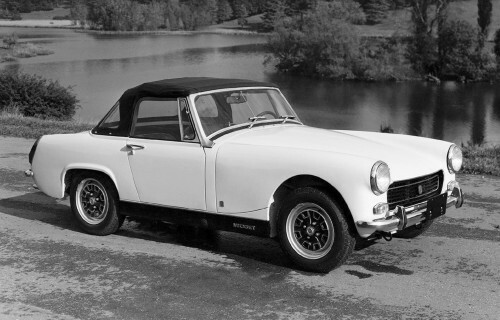 If we’re talking classics, then it has to be an MG Midget. The other contender is the Triumph Spitfire but while all the talk of ‘getting the tail out to play’ and ‘having a little ‘moment’ on the roundabout’ on the way to work may be entertaining at first it gets tiresome after a while because you’re continually having to rein the car in. Something grippy like a Midget can be hooned to within an inch of its life in perfect safety, which is ultimately much more fun, in my opinion. Plus if you’re going to have an MG, which is famous for its small, basic, rorty roadsters, get the smallest, most basic ones. Plus they have endless opportunity for a little modification and tinkering. A win all round, really. I can blame my fascination with British Leyland tin on the fact that I was brought up with them and that it wasn’t until upsettingly late in life that I realised that not everyone thought that the Austin Maestro was a good car. I have no explanation for my attraction to old Vauxhalls, but it is there none the less. The ‘droop snoot’ era ones are my favourite but they didn’t do a hot Cavalier and the sporting Chevettes will forever be out of my price range. That leaves the next best thing- a first generation Astra GTE. 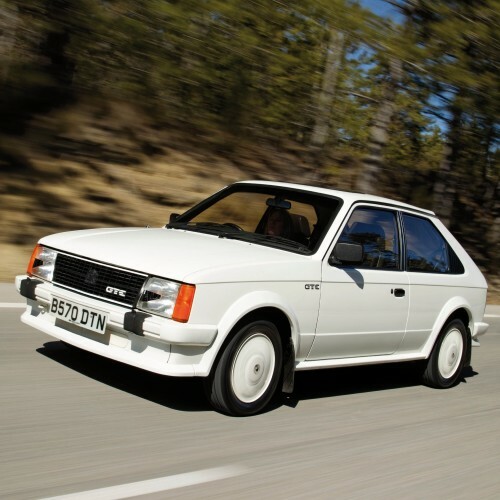 One of the first generation of hot hatches (and therefore one of the best) with all the cheese and white colour-coding that makes ‘Eighties cars so glorious, but without the massive ‘scene tax’ that any old Ford with a performance badge brings with it. This entry was posted in Cars I Wouldn't Mind Owning and tagged Austin, Citroen, MG, Vauxhall, Volkswagen by Balloon_Fish. Bookmark the permalink.